Update on the MST3K Reboot!!! It wasn’t too long ago we heard a plea for cooperation, about 2 weeks ago, in fact. 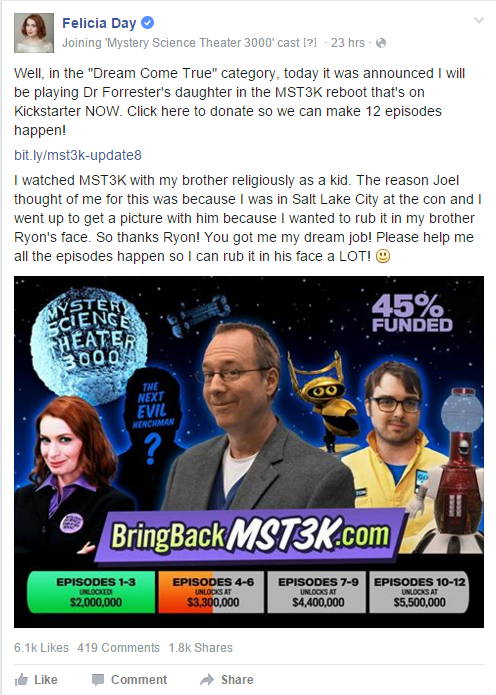 ‘Mystery Science Theater 3000‘ wants to come back but needs help from the fans! Check out the full story here, but today brings us two new announcements! The MST3K team has already earned enough for 3 new episodes and half way to three more, meaning we are likely going to get at least 6 brand new episodes, what could be better than that you ask? Felicia Day. The quirky queen of awkward has been cast as Dr Forrester’s daughter in the reboot, she was rather eloquent in her announcement, too. I admire her reserve. So come on people, let’s get this show back on the road errr screen? Click here for the Kickstarter info. Want More ‘Mystery Science Theater 3000’? So Do We!!!! 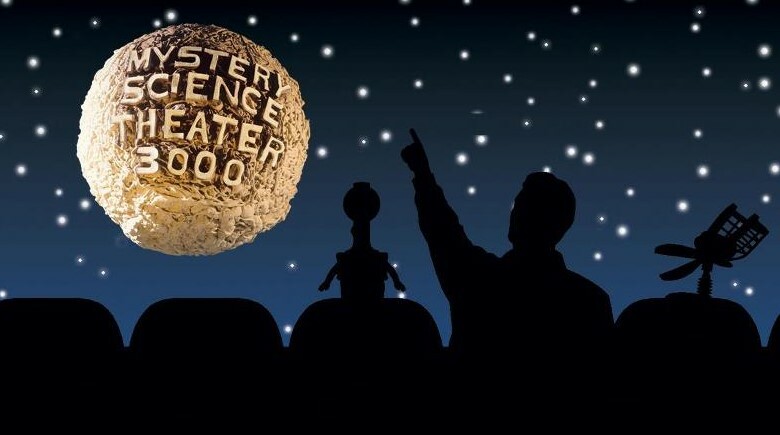 Mystery Science Theater 3000: Volume XXV Announced and Detailed!!! ‘Charlie’s Angels’ Being Rebooted By Elizabeth Banks!!! This entry was posted on Tuesday, November 24th, 2015 at 2:04 pm	and is filed under Film, News, Television. You can follow any responses to this entry through the RSS 2.0 feed. You can skip to the end and leave a response. Pinging is currently not allowed. « ‘Knight of Cups’ Trailer Is A Treat For The Senses!!! Are you giving me face ?